An elegant necklace in the shape of beautiful twigs, wrapped around your neck in two different colors: white and yellow gold. 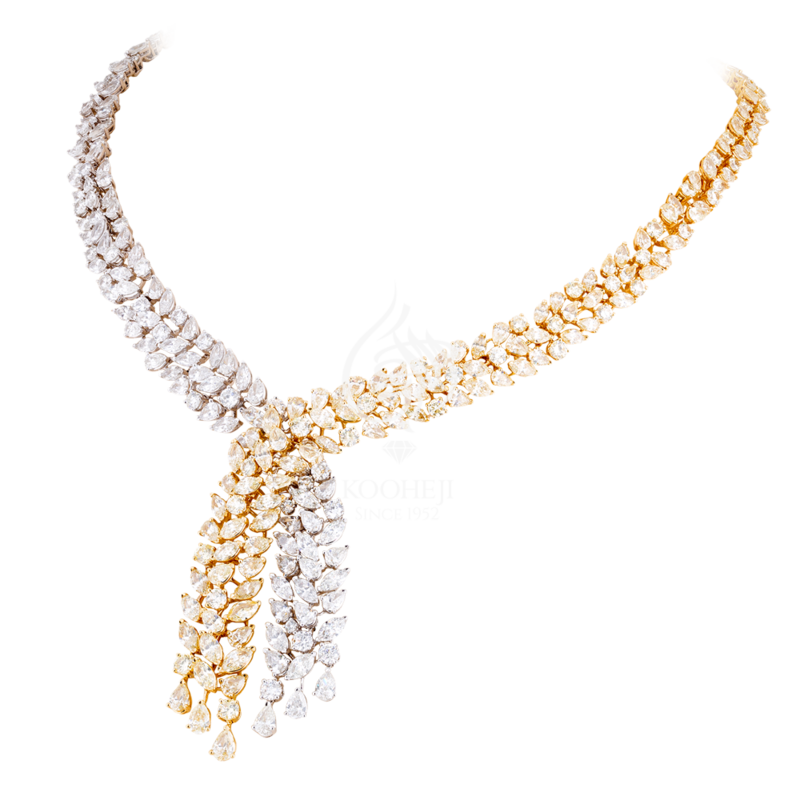 It is also inlaid with two colors of pure white and yellow diamonds. This necklace is only for those who fancy the infinite elegance, and will certainly make you the center of attention on all occasions.